One of the biggest problems that many people face when shifting houses is moving the furniture. It’s virtually impossible for one person to move such heavy furniture by themselves. In almost every scenario, you will need to call-in outside help from your friends or family members. Able-bodied individuals will be needed to move wooden wardrobes, trolleys, tables, and chairs, from your house. Apart from that, moving household appliances, like refrigerators, is also a bit of a problem for one person. If you register help from others, you will obviously want them to care for your furniture the way you do. That’s slightly difficult because others will just want to get the move done-and-over-with. They will look for the fastest way of shifting the furniture, without caring if it gets damaged in the process. That is one of the main reasons why it’s always better to rely on the services of a professional for shifting all of your belongings. 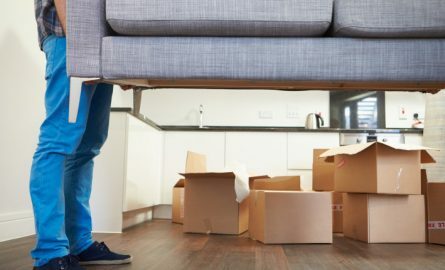 Companies that offer furniture removals in Melbourne do an excellent job for you when it comes to shifting the furniture. Here are some of the many different services that they offer. When you first call in a furniture removalist, they will send over a professionally trained removalist to inspect and survey all of the furniture items that need to be moved. Packing is the first step to moving houses. All of the stuff in the house needs to be packed properly, and neatly, in labelled cartons and boxes. Delicate items like crockery need to be placed in boxes with lots of packing material around the sides for proper cushioning. This is important because it prevents damage during the move. Many furniture removalists offer packing services. They will send over a team with boxes and packing material, and neatly put each-and-every item into the boxes. You can of course guide the packers about where you want certain things. One important thing that you should know about is the pricing of different furniture removalists. Some removalists will charge a fee for arriving at your place and list it down as transportation costs on the invoice. Others will charge for carrying furniture from a higher floor. Some removalists charge a flat hourly rate. Therefore, before hiring any removalist for the job, it’s highly recommended that you request a quote for the total costs of shipping. It will make it easier for you to keep the shifting costs under your budget. Apart from moving the furniture in their truck, a number of removalists have also begun to offer unpacking services. You can guide the removalists about where you want to keep certain items around the house and where you would like to unpack them. The removalist company will make sure that your move goes as smoothly as possible. You don’t need to worry about manpower either, the company will send over a team that will be more than enough to move all of the belongings in your home.